How should I dress for a wedding? There’s nothing as exciting as receiving an invitation to a wedding, especially if the couple getting married are family or particularly close friends. But for some of us, as soon as the excitement about the event has started to settle, we become aware of a little touch of anxiety: what am I going to wear? This is not always an easy question to answer, because there are so many different types of wedding. Sometimes, if you’re lucky, the invitation will give you guidance as to what’s expected of you, say black tie. But at other times, it’s not so easy to fathom. There are a few basic rules that certainly apply to traditional weddings. But then of course rules are made to be broken! However, if you do want to break one of these rules first, you might just run it by the bride – it’s not a time when you want to cause offence with a sartorial faux pas! 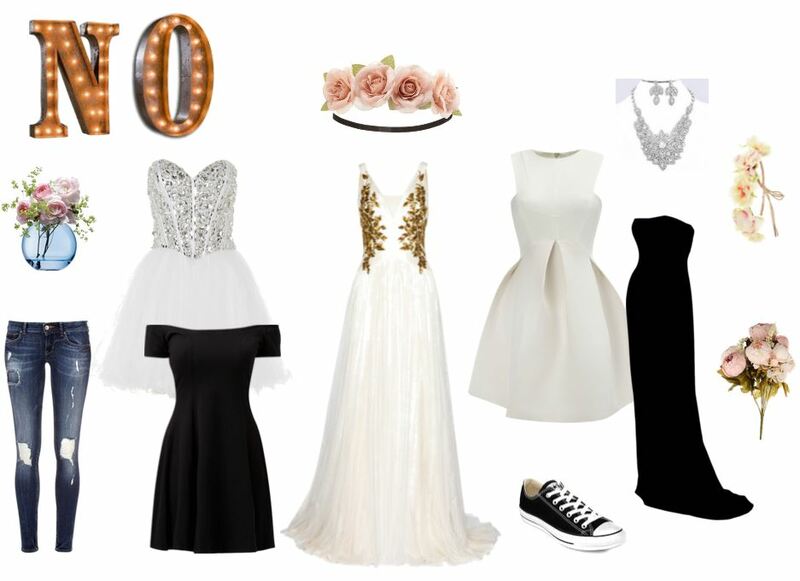 • Don’t wear white or cream – you don’t want to upstage or be mistaken for the bride. • Don’t wear black – it has long been deemed inappropriate to wear black to a wedding. However, if there’s an evening party, it may be a time when you could consider breaking this rule. • If the ceremony is taking place in a church or other religious building, strapless or revealing dresses should be covered by a jacket or a wrap – large areas of exposed flesh simply don’t work in a religious setting. • Jeans and t-shirt for a wedding? Pretty naff! Likewise, grubby or ill-fitting clothes. If it’s not entirely clear from the invitation what sort of wedding it is that you’ve been invited to, ask for guidance. Get in touch with the bride and find out what her expectations are. Sometimes the venue will be enough of a clue and sometimes you’ll know the couple well enough to take an educated guess. The time of day of the ceremony and also what sort of reception has been arranged will give you further hints. • Dress appropriately for the time of year, particularly for outdoor settings. If you’re attending a winter wedding, you’ll probably need to consider a coat as well as the outfit underneath – there may be lengthy hanging around outside while photos are taken. • In a quandary over whether to wear a hat? Ask around any other guests that you know to see if they intend to wear one. Generally, those closest to the bridal party are the most likely to wear hats to a formal wedding. • If the reception is taking place in a smart venue, keep it smart. 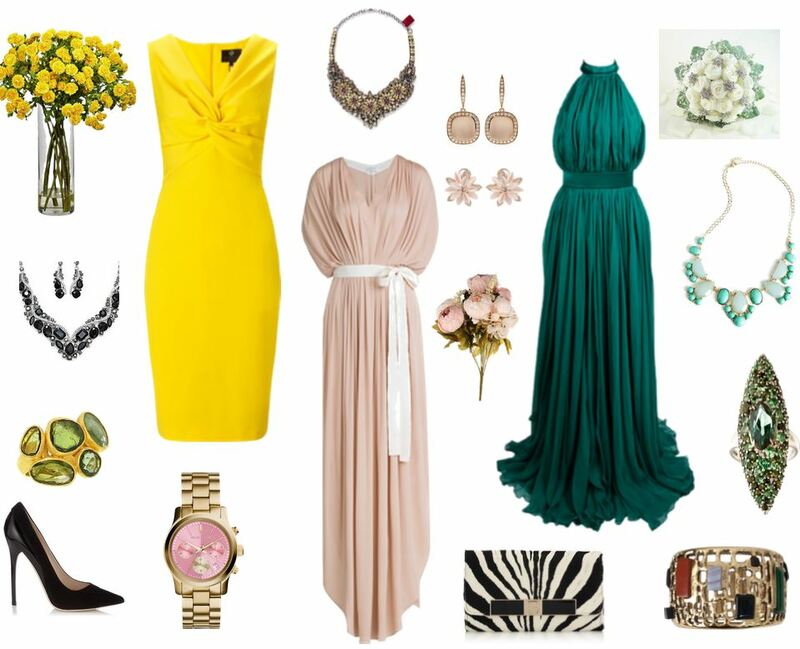 • Daytime weddings call for elegant dresses or suits – try to pick something that doesn’t look like office wear. Men may wish to wear morning suits if the groom and ushers are, or can opt for a lounge suit or trousers with a blazer. • Evening weddings may be black tie or smart casual. Long dresses or cocktail dresses work well if the reception will be an evening party. • If you know there will be dancing, choose a pair of appropriate shoes.